Matt Frewer was the headlining guest this year at Farpoint, an annual science-fiction convention held near Baltimore, this weekend. While I know that most people wanted to meet him because of Max Headroom or roles in other shows like Eureka, Orphan Black, and recently Altered Carbon, I really wanted to meet him because of Doctor Doctor and his Sherlock Holmes television movies. 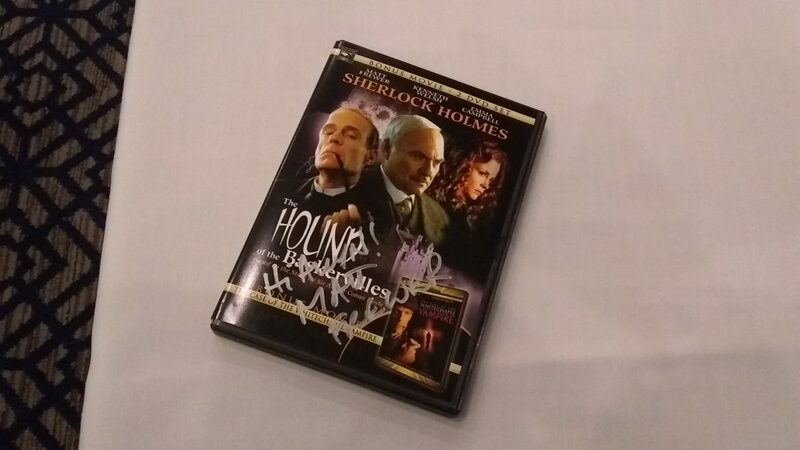 On Saturday, I brought a DVD of The Hound of the Baskervilles/The Case of the Whitechapel Vampire to the convention and asked him to sign the sleeve for me. I don’t normally get things like this signed. Scratch that. I never get things like this signed. In twenty years of going to conventions, this was the first time that I ever asked an actor for an autograph on anything. I won’t say that I got a “Whoa” from him, but it wasn’t the usual Max Headroom stuff he probably has to field from fans, and we were able to talk for a few minutes. I know that Frewer’s Holmes isn’t regarded fondly by many Holmesians, but I’ve always enjoyed his films, and I said to him that Whitechapel Vampire was, of the four films, my personal favorite and, honestly, the one I consider the best. He said that he really enjoyed making these. He personalized the signature, which I didn’t ask him to do, and I geeked out a bit. 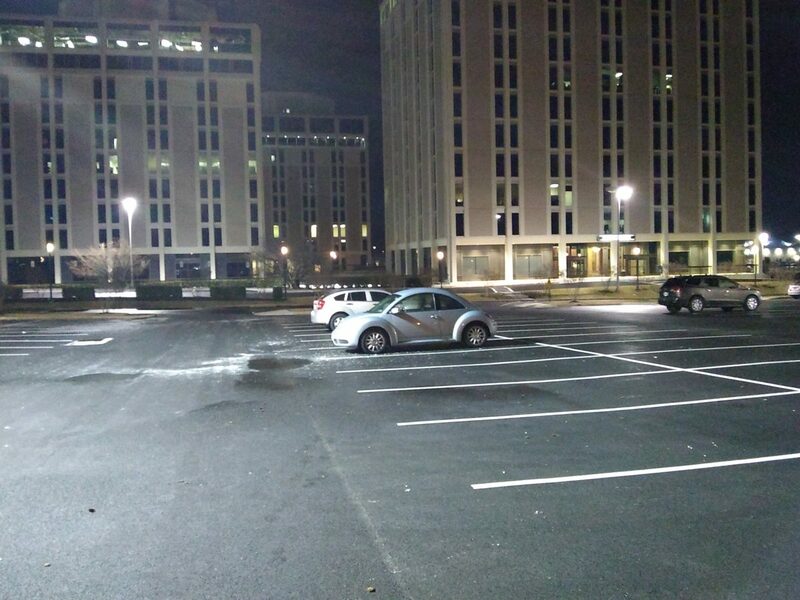 I thanked him for coming, and we shook hands. I had intended to ask Frewer the same question, so I asked him instead about the Max Headroom television hijack — in 1987, somewhere wearing a Max Headroom mask hijacked two television signals in Chicago. As the actor behind Max Headroom, I wondered what he thought, and he said, “I thought it was great. It was very much in the spirit of Max Headroom. It was like the Occupy Wall Street of its time.” I also asked if he was questioned by law enforcement, and he said that he wasn’t. It was great to meet and converse briefly with an actor I’ve admired for thirty years and one whose performance as Sherlock Holmes I really enjoyed.